I like to write real-life, gritty stories that give hope to others when they are experiencing heartache and trials. I hope Proven Love does this. I have an amusement park close to my house, and one day I was there enjoying the rides and people watching (it's what we writers do). I saw this girl who looked a little lonely and out of place, and it got me wondering. 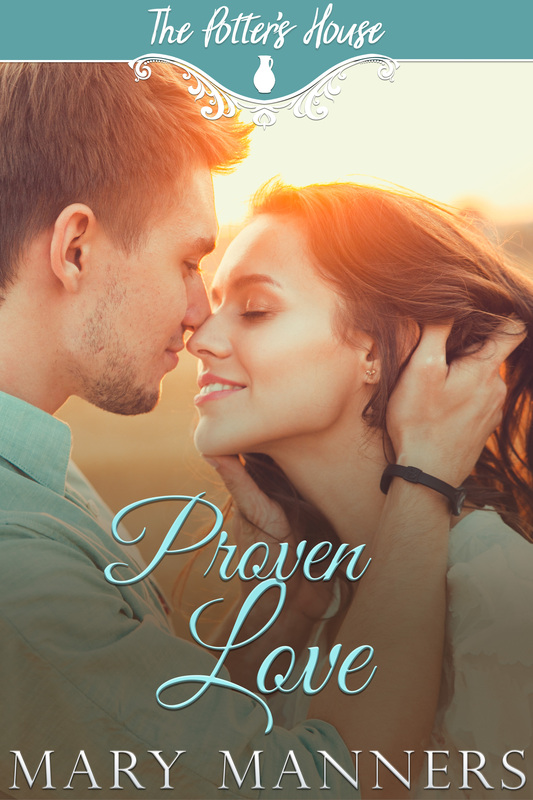 The next thing I knew, she had a story–Proven Love. MEGANN REILLY’S LUNGS BURNED AS she scaled the security fence’s weathered planks. The seat of her faded jeans snagged on unyielding shards of lumber. Splinters nipped tender flesh as she tumbled inside the fence, into a nearly deserted parking lot. Her sandals slipped on loose gravel, and she tumbled hard to her hands and knees. Ignoring the pain, she chanced a furtive look around. The aroma of waffle cakes dusted with powdered sugar danced on the air as an enormous roller coaster rose to kiss the sky. The ferocious roar of its racing wheels assaulted her ears. A small crowd herded toward the coaster like cattle going to slaughter. Megann wove her way to the single-rider line where there was no wait. The coaster screeched into the embarking platform and Megann impatiently tapped her foot as riders hustled out. She stumbled into a seat. Her hands trembled as she fastened a sturdy cloth seatbelt over her fluttering belly. A padded harness lowered to clamp across her shoulders and gnaw into her legs. Through tears, she stared across the tracks and drew a single quivering breath. The car hissed and jolted forward, quickly gaining speed. Megann squinted against a breeze that slapped her face as the car rushed to the first breathtaking summit. The scent of lilacs hung on the air. Sighing in an eerie, breathless hush, the car crested and then hesitated at the top of the world. Vertigo had her heart pummeling her ribs. Rushing into the first perilous freefall, air screamed past in a deafening howl. A vast palette of orange sherbet sky swirled together with the molten lava of enraged voices screaming inside her head—her mother storming at Hank, the latest boyfriend who had sponged his way into their cramped, run-down trailer. Hank hollering right back, his menacing baritone enhanced by shattering glass and fists striking flesh. Megann pressed her hands to her ears in an attempt to block terrifying memories of her mother’s pleading sobs weaving through the chaos. The ride plunged and twisted like a serpent hunting prey. When it ended, Megann craved more. She rode again. And again. She longed to be mindless, to forget. Dips and turns blurred terrible images into a soup more easily swallowed. Two weeks until high school graduation. Two weeks until I turn eighteen and leave for college. For good. A day of liberation. Nothing could hold her in the godforsaken town then. Not even the desperate needs of her mother. Or her feelings for Colton Kendrick. She couldn’t explain the attraction she felt toward him. He was nothing more than a spoiled, privileged kid from the right side of the tracks. He’d sucked her into his pathetic game, showing a little kindness when she’d tripped over her own two feet and dropped an armload of textbooks in the school hallway. He’d sauntered over long enough to help her gather them, his deep, sea-blue eyes warming her like melted wax, before loping off with a girl dressed in a low-cut shirt designed to showcase her ample assets. She’d turned her nose up at Megann and laughed. And Colt, so helpful just moments before, had slung an arm over the girl’s shoulders and snickered, too. Megann had dipped her head and refused to let them see her cry. She seethed, her insides a pressure cooker ready to blow. She was going to head far, far away…as far away as possible from the insanity of life here. She was going to make something of herself, something much better than this town could ever offer. The same girl rushed by on the coaster again. Colt recognized the hair—a guy couldn’t forget a head of hair like that—an unruly, cinnamon mane just begging to have his strong hand run through it while he kissed the breath from her. She rode with her head tipped back against the wind, eyes closed as if dreaming of some far-off place. She appeared to be alone. Well, Colt aimed to change that. He had an hour to kill before he had to meet Randy and the guys and head to Amber’s place. Her parents were gone for the weekend and the pool waited. Cool water and babes in bikinis…oh, man. Before the boarding gate had time to open, Colt leaped over the rails and into the front seat of the arriving coaster. The girl’s eyes flew open as the harness clamped down around them. The coaster lurched and whined skyward once again. Colt’s stomach lurched into his throat as a dozen thoughts vied for attention. What was her name? Mary…Madeline…Melinda…Megann! It was Meg! The car crested, affording them a terrifying, breathtaking view of the amusement park back-dropped by smoke-hazed mountains. An earsplitting, convulsive squeal shook the track as the ground suddenly collapsed below them. Megann shrieked. Pressed against his side she was feline, edgy, with a mysterious beauty accentuated by the deepest green eyes he’d ever seen. She screamed into the sky and Colt was overcome by a surge of adrenaline. He reached for her hand and twined slender fingers to his with all the cockiness he could muster roaring sixty miles an hour over a narrow wooden track. Through wild dips and turns he held fast. When they finally skidded to a halt and the shoulder harness released, he leaned into her and did the unthinkable, even by his standards. He pressed his trembling body against hers and kissed her. The world went dark around him and he swallowed the shock that welled up from deep in the pit of his belly as Meg suddenly wilted, her lips yielding to his. Megann shoved him away and pressed a trembling finger to her lips. She’d been kissed before, but never like this. Her insides were tangled spaghetti noodles. “You wish.” She awarded him an icy stare accentuated by a slap across his smug face. “In your dreams.” Megann rushed down the exit ramp, away from the dark-haired boy who’d awoken dangerous new emotions…away from the voice urging her to turn back. Turning back wasn’t an option. She was running away…toward freedom.